Drew Oetting is a Founding Partner @ 8VC, one of Silicon Valley’s youngest and most exciting new entrants to the VC market with $425m for their debut fund. In just a few years they have built a portfolio including the likes of Oculus, RelateIQ, previous guest Elad Gil & Color, recent guest Mario @ Oscar and many more incredible companies. As for Drew, previously he served as Chief of Staff to fellow 8VC Founding Partner, Joe Lonsdale and was a two-time Bill Gates Investment Asset Management Fellow. Drew is also an advisor to Living On One, Rubicon Global and is a Founding Board Director @ Affinity Technologies. 1.) How Drew made his way from Joe Lonsdale’s Chief of Staff to Founding Partner @ 8VC? 2.) Why does Drew believe the way we think of VC today will change? How does the extended period of privatization affect the role of the VC and their relationship to the founder vs the company? 3.) Why does Drew believe that funds make big mistakes in the internal setup of their operation? Why do funds not do a good job of developing talent? What are the problems of funds being internally competitive with deal by deal carry etc? 4.) As a Founding Partner of a $425m fund at 26, what were the challenges of having such a position, earlier than usual? How did Drew overcome them? What advice would Drew give to young people who want an accelerated career path? 5.) Why does Drew believe that “VCs have forgotten their job is to invest in entrepreneurs NOT technologists”? How does Drew determine whether someone has the ability to bridge both technologist and entrepreneur? 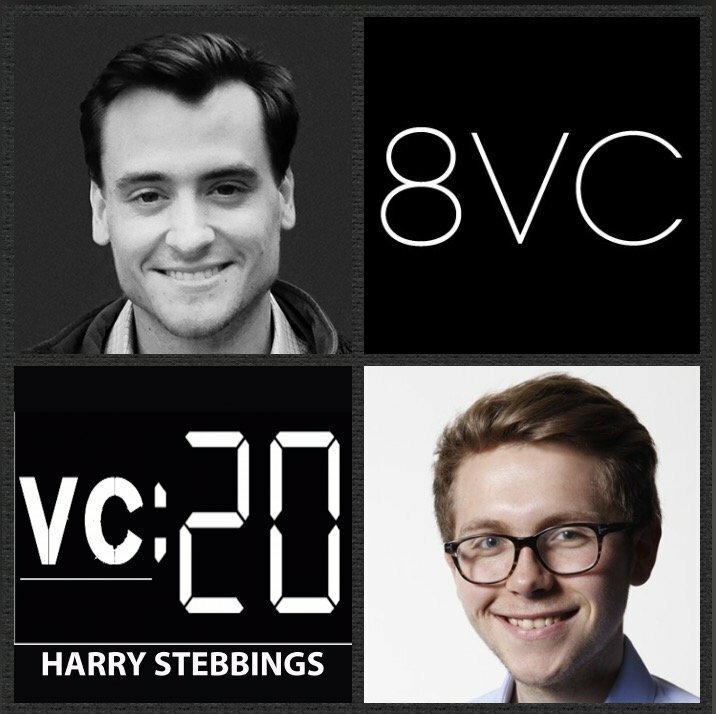 As always you can follow Harry & The Twenty Minute VC on Twitter here!